Brandt Peters – VIXEN interview! 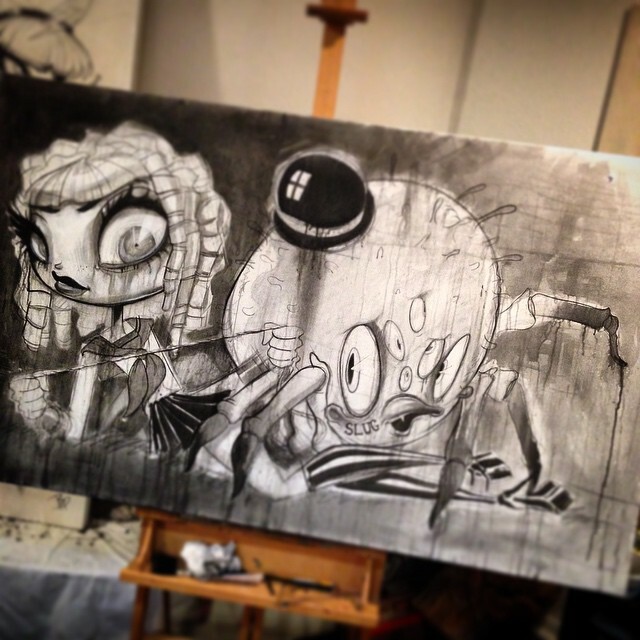 We’ve been eagerly following Brandt’s progress on his new show at AFA this month, and finding ourselves compelled by the work he’s been producing working in for this show. We exploited our insider access to chat with him a bit about his work and Vixen, and find out more about his upcoming year. Circus Posterus : The life sized drawings you’re doing to Vixen are wonderful – what made you decide to work in this scale for this show? Brandt Peters: I actually have been thinking about large scale works for while, and even tried a couple for Trigger II. It was all about finding the right exhibition gallery that could fit these works in their space (due to their size) and the ideal window of time for it to work. AFA Gallery was very interested after seeing my Trigger II work pin-ups, and we started talking and planning from there. Most of the work is around 6 feet tall! What era in time are you exploring and drawing inspiration from for Vixen? What draws you to it? BP: Visually, I was imagining walking into a very large space, and being surrounded by giant drawings of my pin-up type character designs. As I explored deeper, I imagined these characters as almost rival gangs to each other. So, as you walked around the room, you would be surrounded and pulled directly into their worlds, drama and attitudes, so it would venturing more towards a visceral and narrative experience. VIXEN also allows all of my worlds in my universe to culminate… for instance, we have one of The Brides in this show, and that character group is how Stingy Jack’s universe shows up to play in the exhibition. 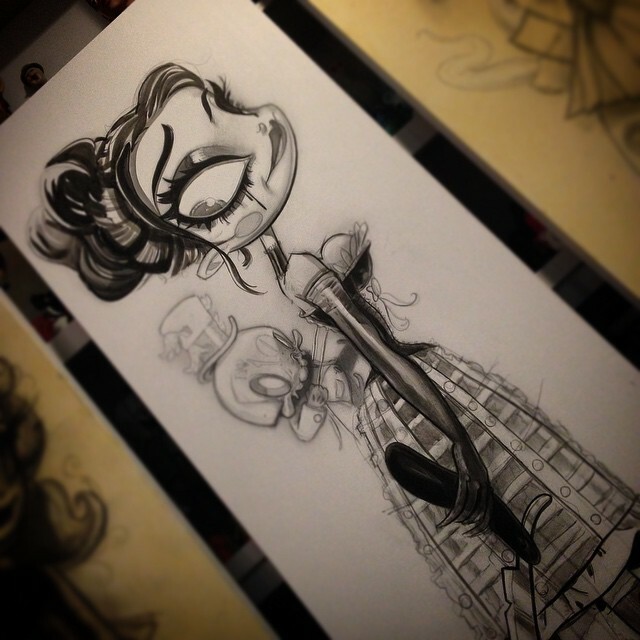 The Brides will also be an important component in our up and coming stop-motion short, Calliope. The Trouble-Boys! World shows up in their counterparts: The Trouble-Girls! (No. 10, No. 23, The Drifter, etc.). Terrorgirls! even show up with additional members never revealed to fans. These characters all come together under the VIXEN exhibition as rival gangs, but it’s also a juxtaposition of my multiple toy universes. My style of art tends to have a vintage or nostalgic feel, but that more than anything is probably due to my fascination with golden and silver era animators and animation design. Organically, that has just become my voice over decades. VIXEN also explores some of my favorite eras in time to define some of its characters. Many pin-ups will be very familiar from off-shoots of toy projects with my friend and colleague FERG: Trouble-Girls! and Terrorgirls!. In these series, the Trouble-girls! are “hit-girls,” as in “hit-men”, but their numbering system is based on my favorite eras in history. For instance , Trouble-Girl No. 23 is loosely based on fashion and culture from the ’20s and ’30s = 23. Trouble Girl No. 10 represents the turn of the century, etc. You will also find other concepts like the Terrorgirls! which are loosely based on ’70-’80s gore/slasher/exploitation horror films I grew up watching as a kid. You will also see imagery based on our toy series: Big Sal and much more. I think my attraction and need to connect ‘the past’ into my work, is a natural continuation of my love and need for personality and expression as a romantic and rich visual language. You are a busy and hardworking man – in the past year alone, you’ve been illustrating comics, designing toys, running an art gallery and retail store – how do you keep it all organized and together? BP: It’s very hard at times… I come from the “strike when the iron’s hot” and “be prepared for your turn in advance” school of thought… so when the universe hands you moments of opportunity, you take them. Even if you don’t have the time, or it’s not ideal, or it inconveniences you. I really don’t have weekends, and I work a lot of the time. I am also lucky and have gotten to work on projects that I love because I grabbed the opportunity when it arrived, while usually others were complaining or giving up. I also have an amazing support team that has my back and has been there to help keep me organized and on task. And of course, my wife, colleague and partner Kathie is a tremendous force in keeping me aligned and focused. What work can we expect to discover in Vixen? 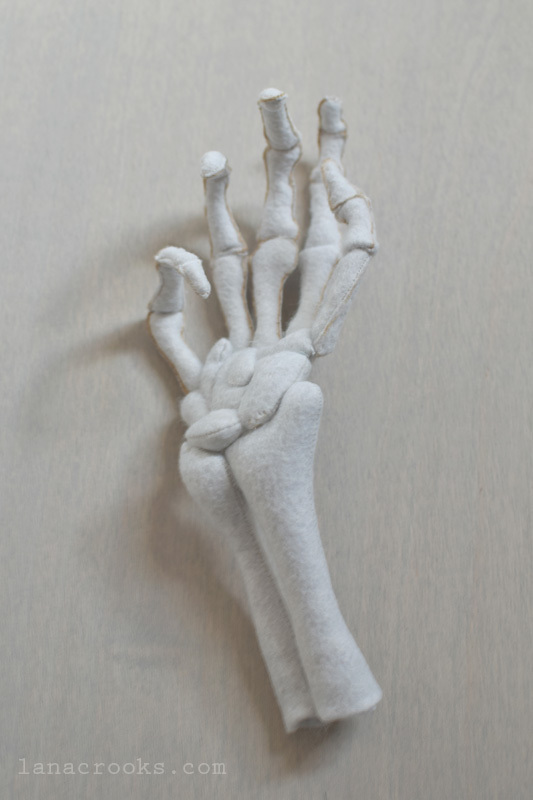 Will you mostly be drawing and painting, or will we get to see some of your sculptural works as well? BP: There are 17 pieces in total, with most of the work is in a 24” x 72” format. The work is all on linen. The style is actually more of a “painting style”, but with inks and acrylics over my drawings. I have a surprise up my sleeve for a sculptural component, but if it happens, it will be happening at the last second. I would rather keep it a secret, just in case! How would you introduce yourself to people unfamiliar with your work? 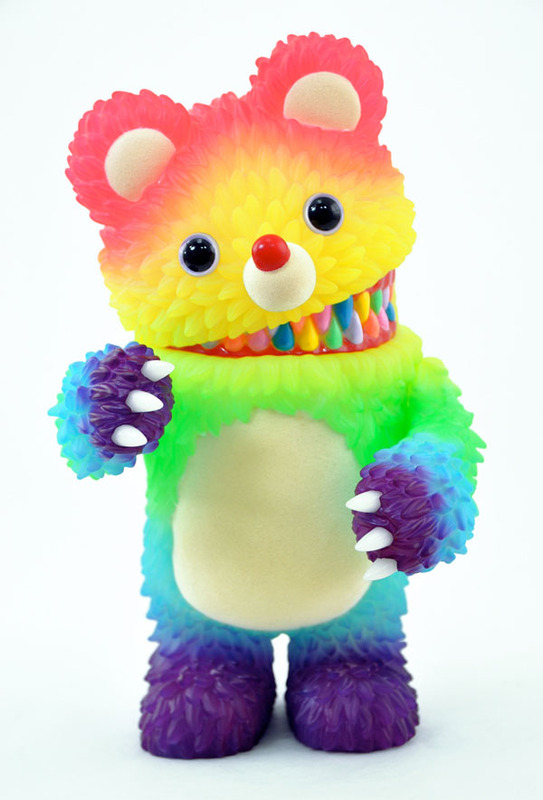 BP: What is I love about my body of work, is that I have been able to develop so many different lines within my brand: toys, pin-ups, paintings, character design, creature design, sofubi, etc. Any number of these formats allows a collector and fan to jump in and start from anywhere, really. 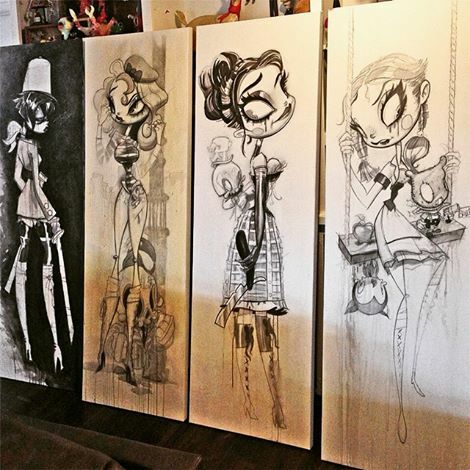 Probably the first place I would start to find my work would be my online store: www.circusposterus.com who carries a lot of my work, or better still – come to old Route 66 in Albuquerque, NM to STRANGER FACTORY where I carry my original designs and fine art, as well as a constant inventory of my toys and product. It sounds like 2015 is going to be an incredible year for you – want to give us a peek into what is on the horizon for Brandt Peters? BP: I will let everyone else figure it out, but I will leave you with the following words: CALLIOPE, stop motion, Cardboard Spaceship, mini figures, more vinyl toys, bigger gallery and bigger toy store, Circus Posterus, Kidrobot, international art shows, published books, more toys, more sofubi, collaborations with amazing artists, apparel, travel, New York, California, SDCC, DesignerCon, 3D Retro, major fine art exhibitions, lectures, giant sculptures, FERG, Shinbone Creative, Stingy Jack, The Brides, The Night King, jointed pin-up dolls, a horror film festival, joining forces with major toy company…that’s all I know for now, but as always, there’s always more. 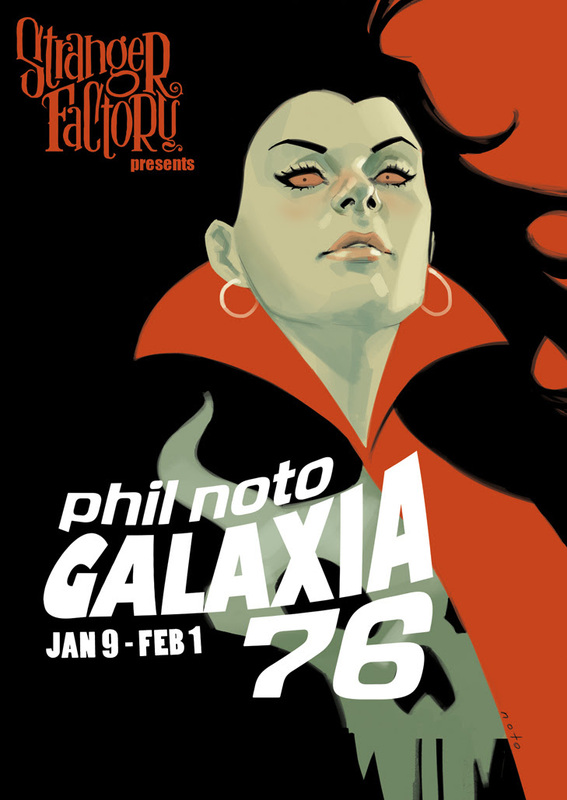 Stranger Factory is thrilled to present a new exhibit in January from returning artist Phil Noto! Phil Noto’s “Galaxia 76” finds Noto’s signature style in top form, as the artist brings beautiful new characters to life, inspired by the over-the-top stylings of 1970s exploitation cinema. Few artists are able to capture the subtleties of human expressions like Noto, and it’s impossible to look at his works without being drawn in immediately. The beautiful understatement of human expression is Noto’s playground, and combining his mastery of the human face with this vivid and bold era of cinema makes for a exhibit of truly breathtaking work from this comic industry veteran. Please contact our Press Manager with any additional requests for artist information or show images. The exhibit runs January 9th – February 1st, with an opening reception on Friday, January 9th from 6 – 9 PM. The artist will be in attendance. We love seeing the various customs from our many artist friends of the Wandering Misfits and Jay Hollopeters’ vibrant painting style has always been one of our faves. 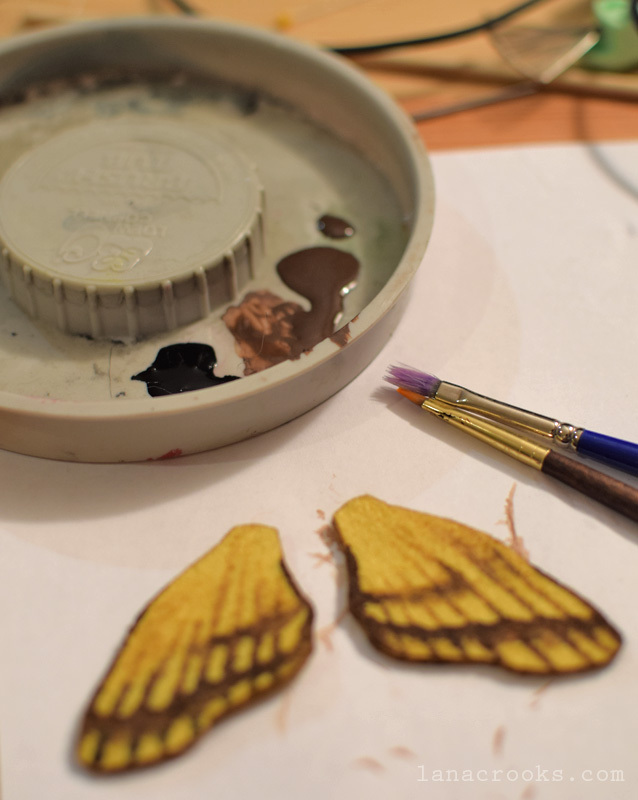 This year, he’s bringing a mischievous Angel and Devil pair to the Winter Salon, complete with adorable little wings(the angel) and tempting ice cream cones(the devil, obviously). 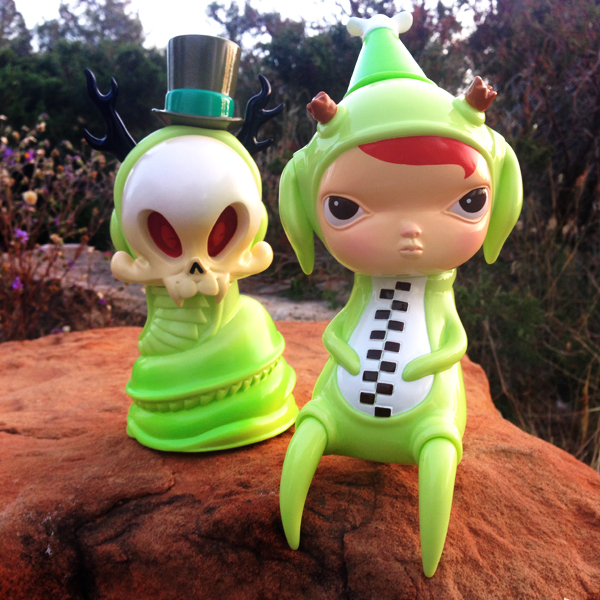 Come check them out at the Winter Salon opening at Stranger Factory – this Thursday, December 4th! 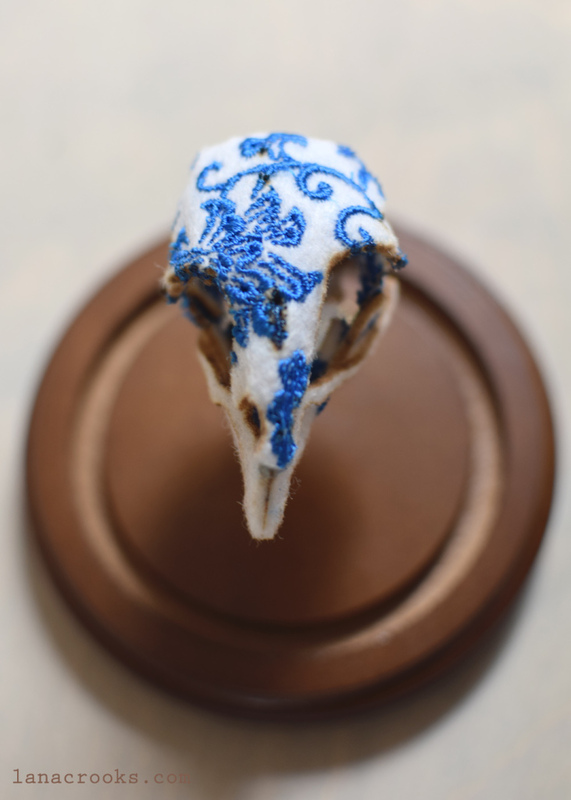 Lana’s perfect little laser cut and painstakingly assembled bird skulls have been a favourite around these parts for a while, so we were delighted to see these new versions, festooned with delicate embroidery. 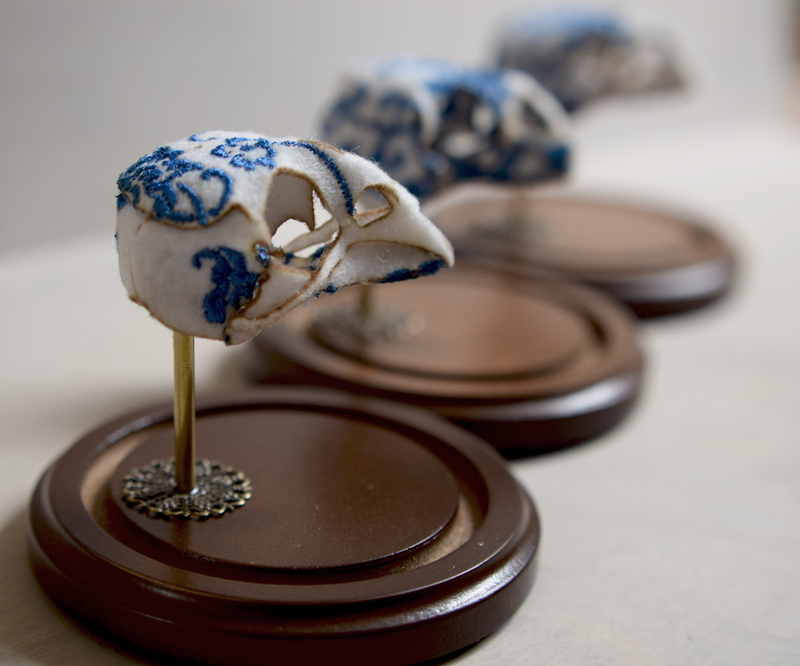 These one of a kind skulls are gorgeous, and we cannot wait to show them to you in person! 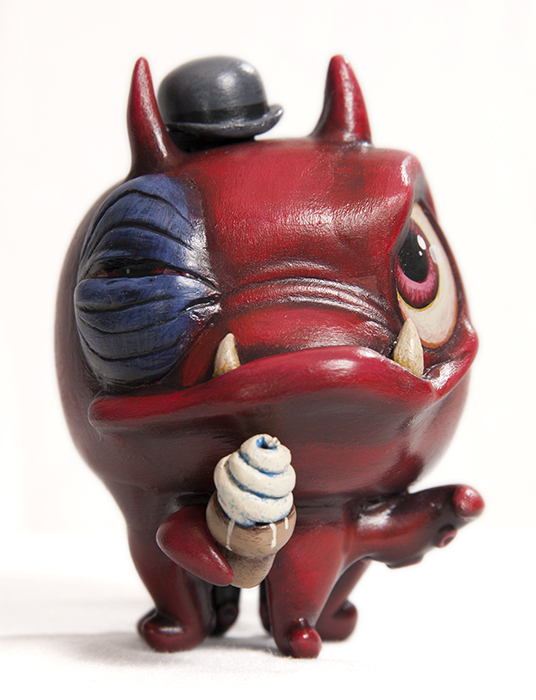 Titled “Bone China,” there will be three of these available at Stranger Factory’s Winter Salon exhibition, opening this Thursday, December 4th, with online sale requests open the following Monday. Winter Salon Opening and the Albuquerque Shop and Stroll! We’re pretty excited to take part in Albuquerque’s Shop and Stroll event this THURSDAY! Our store will be open late from 6-9pm to have the opening of Winter Salon and John Paul Gutierrez’s show, Creatures of Growth. PLEASE NOTE: Our opening this month takes place on Thursday, and not our usual Friday – we may have mixed some messaging up while announcing our opening date, but Stranger Factory will also be open late on Friday, for any of our wonderful customers who may want to get a head start on their holiday shopping! We’re back from DesignerCon, and right back to work! Thank you to everyone who came out and said hello, bought our work, or came to a signing. We are happy and grateful to call you our collectors, because you are the best people in the world. We’re previewed these figures at DesignerCon, and now we finally have the rest of our inventory in stock! Both figures are $95 each, or buy the set for the price of $175. Like the others, the heads switch out! The Bitter Mantis colourway, with switched heads! 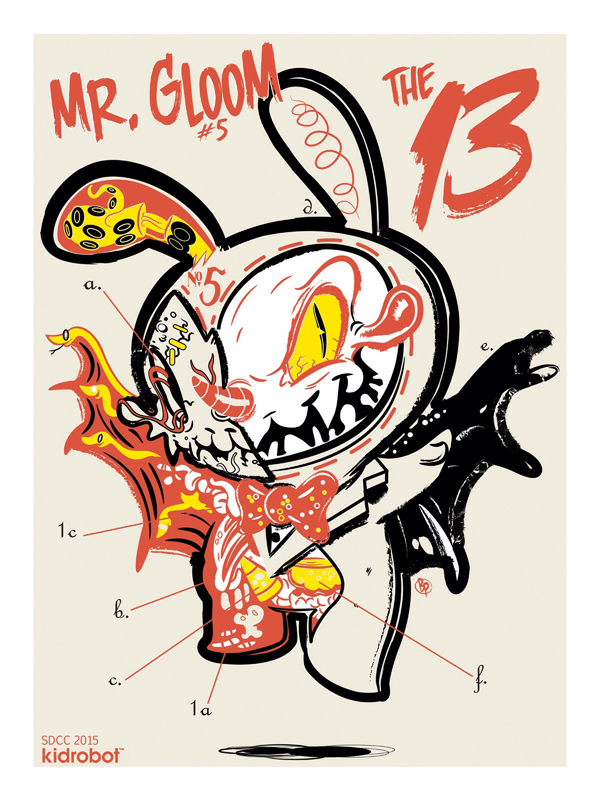 Only half of the edition (30) will be sold through circusposterus.com(North America only, including Canada), and the other half (30) will be sold through tomenosuke.com(International only). For the first time in…well, forever, Brandt Peters and Kathie Olivas will be conducting a portfolio review at DesignerCon with the intention of finding new artists for upcoming Stranger Factory gallery shows. The portfolio review will take place on Sunday, from 1-2pm. 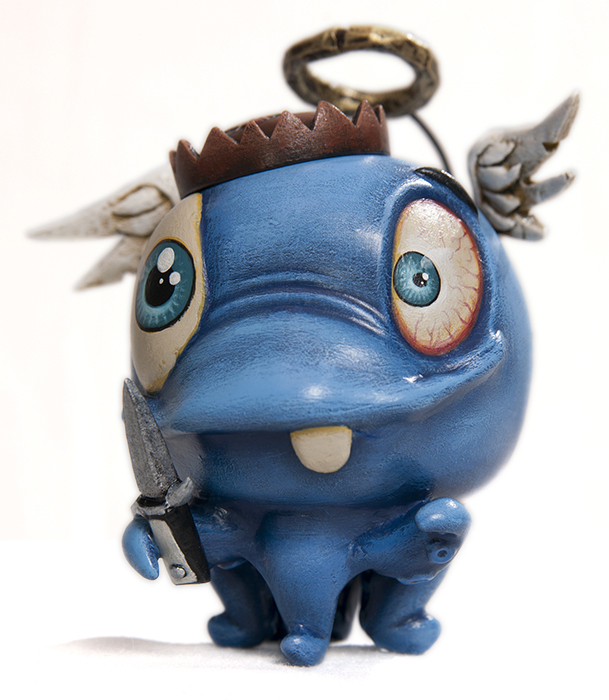 We’ll have more details soon, but if you’re an up and coming artist and interested in exhibiting at Stranger Factory – put it on your calendar! We’re a fan of Lana Crooks‘ masterfully detailed mini feltworks, and it’s always a treat to get some new studio shots from her. 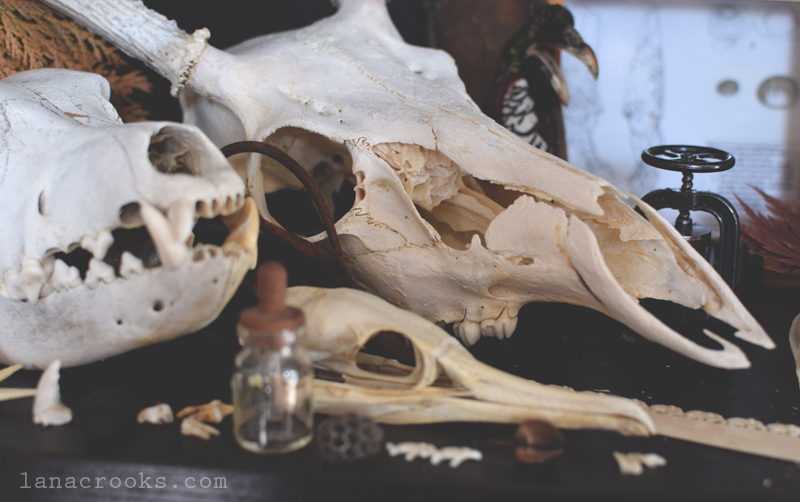 This time, she takes us on a small tour of her workspace – a delightful haven of vintage oddities and other ephemera. Lana’s studio almost makes an artist’s life look romantic(it’s really not – it’s a lot of paperwork and organization). And, if you squint, you can catch a sneak peek of what Lana’s cooking up for Bewitching! 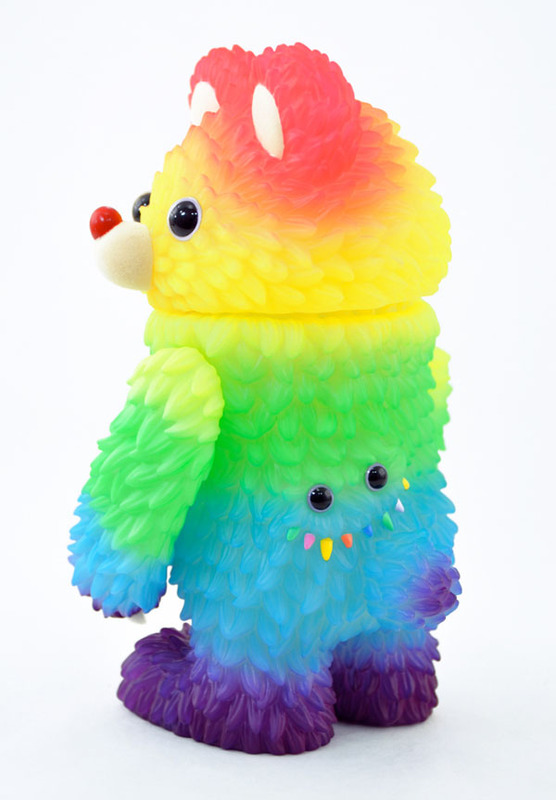 One of the Circus Posterus’ family’s favourite toys of the past couple years has been the adorable and slightly creepy bear from Instinctoy, Muckey. 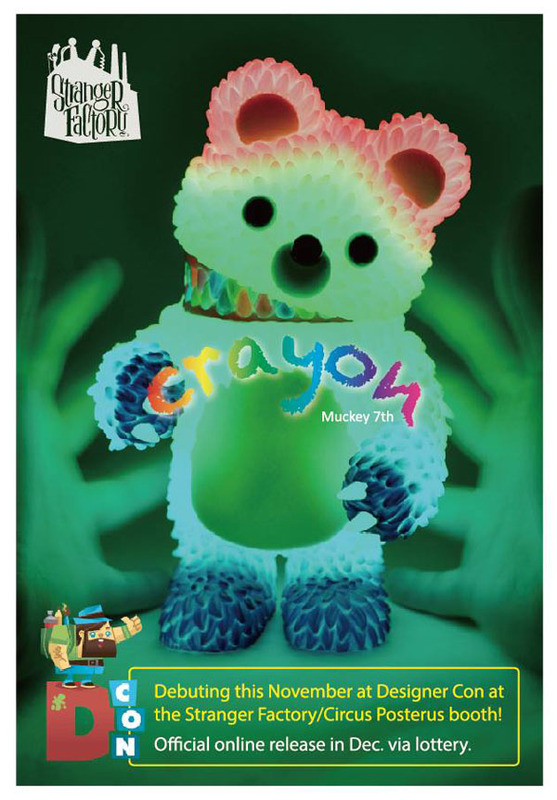 We are excited to let you know that we have partnered with Instinctoy for the convention, and we’ll be offering an exclusive early debut sale of the next Muckey colourway, the Crayon Muckey! 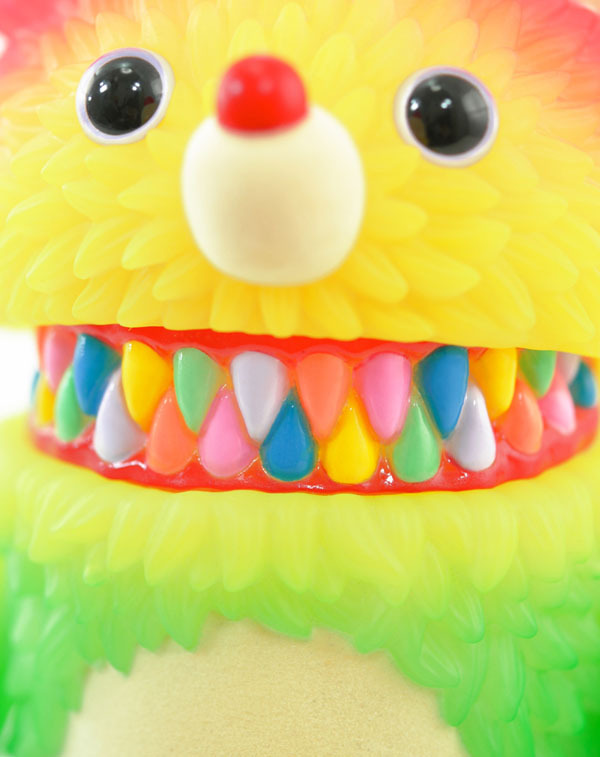 “We wanted this color way to be filled with joy, happiness ,and fun. 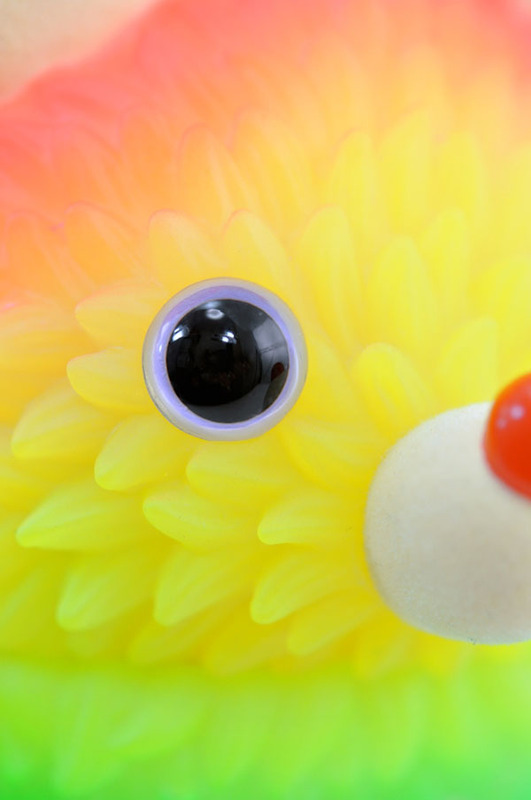 That’s why this Muckey likes to draw things with crayons so much, he looks like a rainbow drew by crayon himself! 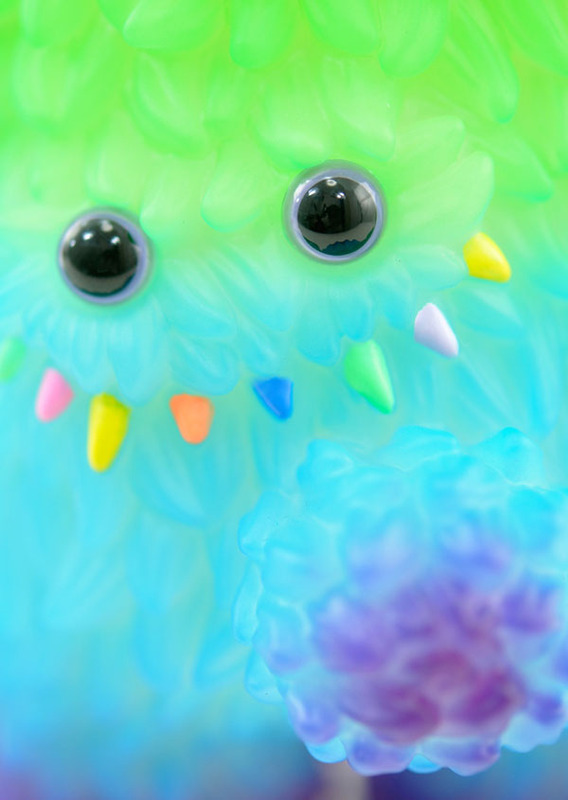 The Crayon Muckey features a delightfully variegated glow-in-the-dark pattern and multicoloured teeth, and will be debuting this November at the Circus Posterus table at DesignerCon. 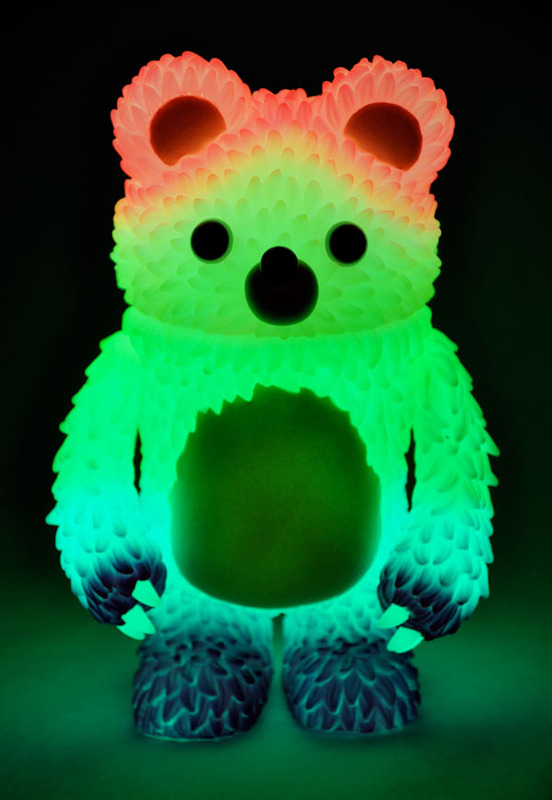 Sales for Instinctoy’s Crayon Muckey will begin at 3:00pm Saturday, and at door opening on Sunday.